What makes Honeymoon in Niagara Falls popular and charming among many North American attractive destinations, is its miraculous vision, sound of rushing and thundering water, rainbow above the mist, breathtaking attractions, wineries and romantic trips throughout Niagara region. All these make this finest North American destination a perfect set for lovers and your Niagara Falls Honeymoon. Niagara is not among the top ten honeymoon destinations in the world, but is for this continent and also one of the greatest budget honeymoon spots in this part of the world. Honeymoon in Niagara Falls started becoming popular back in the beginning of nineteenth century, with visits of US Vice-President Aaron Burr’s daughter, Theodosia and Napoleon’s brother Jerome with his bride. In 1950’s, famous Hollywood actress Marilyn Monroe brought Niagara wonder to the public attention with a movie “Niagara”. Niagara Falls, thanks to its world-known visitors, and millions of others, became a hotspot, among top ten honeymoon destinations and called the “Honeymoon Capital”, oasis for couples and is becoming a rising “Wedding Capital”. 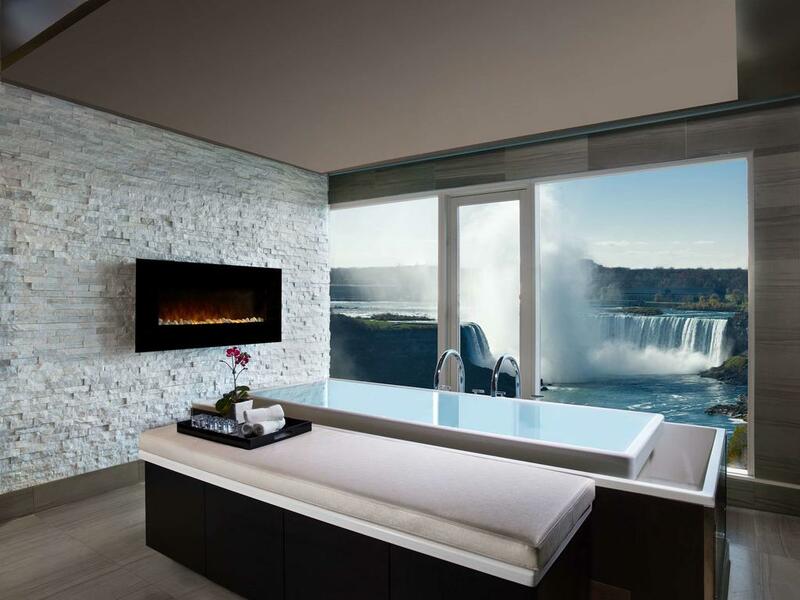 Today more than 50 000 honeymooners choose Niagara as their honeymoon destination each year, helping Niagara to keep its popularity between other top honeymoon spots. Niagara is not only massive falling water. It is much more than that. Honeymoon in Niagara Falls is ideal for couples looking for passionate moments and romantic voyage. When planning this special event, be assure to find a perfect setting for your romance, a restaurant for unforgettable gourmet dining experience, bars, clubs and casinos for dancing, entertainment and fun. Three Niagara waterfalls, Horseshoe, American and Bridal Veil Falls are centrally located and you want to be part of the delight they provide. They are the most visited ones, and if you have some time you can also discover dozens of hidden and lovely waterfalls around, not that far from here. Early morning walks are awesome, and the countryside gives you countless enchanting and memorable sights. We cannot emphasize enough how honeymoon in Niagara Falls can be special, but to tell you to take your time and explore a long stretch of unique natural beauty, and see various places, perfectly set to create you memorable romantic moments. This stretch from Fort Erie on one side, to the Niagara-on-the-Lake on the other side, with Niagara Falls between is where you can find all you need. Sir Winston Churchill had there “the most beautiful drive in the world”. If you are visiting Niagara region for summer honeymoon, you will be amazed with colorful parks and gardens, from Victoria Park, Botanical Garden, Floral Clock to Queenston Heights Park and Niagara-on-the-Lake. 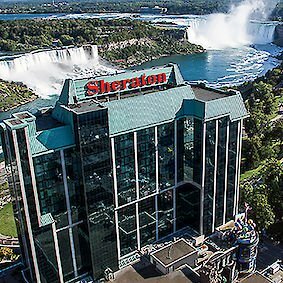 When looking for accommodation or Niagara Falls honeymoon suites, don’t miss to book one of the Fallsview hotels near Niagara Falls, with a room that will provide you an amazing, full view of both Horseshoe and American Falls, illuminated Falls and inevitable evening show with Fireworks. Take a boat ride on the upper platform of Maid of the Mist. Journey Behind the Falls and Cave of the Winds thrilling tours. Cross the Niagara Gorge and Whirlpool in Spanish Aero Car. Enjoy the view from Skylon Tower and have a romantic dinner at the revolving restaurant. 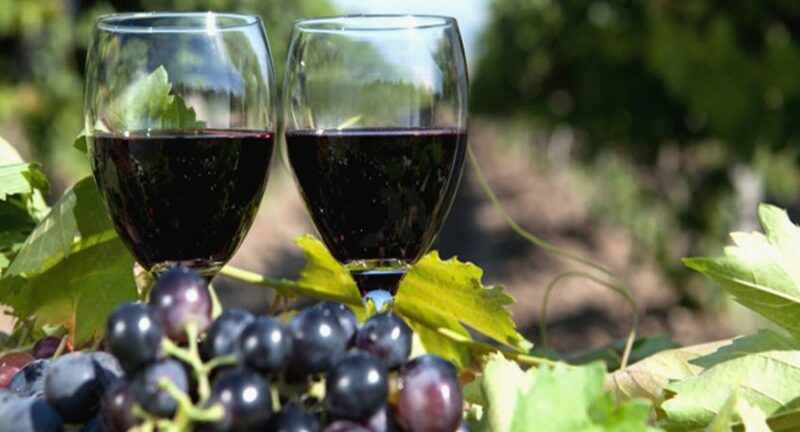 Take a winery tour and have a lunch on the outside patio overlooking gorgeous countryside. Visit Niagara-on-the-Lake and Shaw Festival Theater. Take a ride along the Niagara Parkway to Niagara-on-the-Lake. Entertainment and fun at Niagara Fallsview Casino or Seneca Casino. Dinner for two at the Fallsview restaurant. Seeing Niagara high above, with Niagara Air tours. The key for your enjoyable Honeymoon in Niagara Falls and romantic saga is to experience all the beauty and power, and attractions this place has to offer. This is why we have made this page for you; with few recommendations, list of the best Fallsview hotels with their honeymoon suites and attractive places and tours you just don’t want to miss.